A devastating honeybee die-off has frustrated beekeepers, threatened growers and stumped bee specialists since last months of the year 2006. The affliction that has wiped out three-quarters of some Pennsylvania beekeepers’ colonies is officially named as “Colony Collapse Disorder”. We called it Colony Collapse Disorder because calling it a disease may be misleading until we know the cause; we are pretty sure, but not certain, that it is a contagious disease. 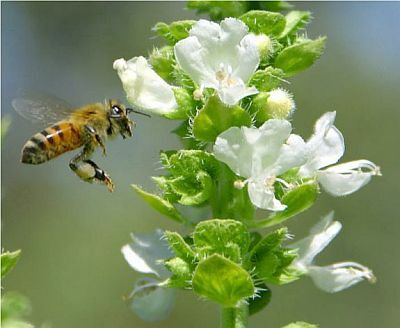 More than $15 billion worth of U.S. agricultural products each year rely on honeybee pollination. 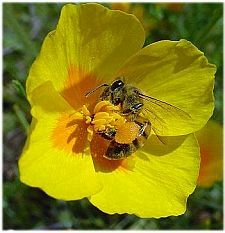 Apart from making honey, honey bees are essential for the pollination of tens of million of dollars worth of cash crops all over the United States. That’s why almond growers of California, for instance, are taking notice and pledging funds to help identify and fight the honey bee disorder. This latest loss of colonies could seriously affect the production of several important crops that rely on pollination services provided by commercial beekeepers. The beekeeping industry has been quick to respond to the crisis. The National Honey Board has pledged $13,000 of emergency funding to the CCD working group. A working group of university faculty researchers, state regulatory officials, cooperative extension educators and industry representatives are working to identify the cause or causes of Colony Collapse Disorder and to develop management strategies and recommendations for beekeepers. The locations of the bees are put on a global database to see if there is any geographic pattern. A groundbreaking audio analysis technique is also used that allows hearing specific changes in bee colony sounds when specific chemicals are present. Chemical air sampling in hives is also being planned. Researchers are trying to find a common thread running through the abrupt loss of so many bee colonies in so many places. Ongoing case studies and surveys of beekeepers experiencing CCD have found a few common management factors, but no common environmental agents or chemicals have been identified. Still, they say, they are only slightly closer to understanding what is causing the large-scale deaths of bees noticed here in October and since identified in 11 other states.